Why did you join the Grange? Why do you belong? Is it because of the Community Service Work the Grange does? Or, could it be the good and faithful friendships we make? Or, be honest now, do you come for the food? I know a Granger who said if he had known what good cooks Grangers were, he would have joined the Grange years ago. Your answer to the above question should guide you when speaking to your friends and neighbors about joining. Let’s plan more open meetings and invite non-members so they can get to know us better and learn what the Grange stands for. We need to put Grange signs where people will see them. 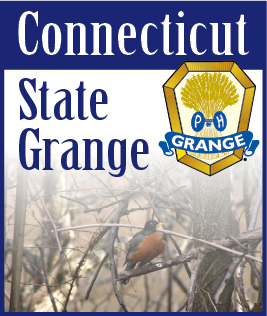 Publicize the Grange and let them know that there is an active Grange in town, where it is and when it meets. The cost of this is very reasonable and the rewards of getting just one new member will justify it. Publicize the Grange, Show how proud you are to be a member and soon people will be asking “Why didn’t we look into the Grange Family sooner?” Let people know the Grange is the best deal in town for friendship and a good time together without a big expense. Grange people are positive people. That attitude will rub off. We will all be rewarded.